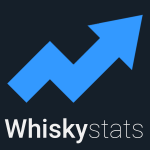 It is finally here, the new Whiskystats feature. You can now upload images of your whisky bottles to our database. 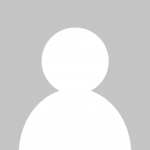 Start sharing your pictures with the Whiskystats community! In our first ever Whiskystats poll from early August 2017 we asked our community which new feature they would wish for. Almost 70% opted for “Whisky Images” and hence we set out to implement this request. We now reached the point of release for this new update. For each and every whisky in our database you will now see a bar depicting the image controls. Simply click on this bar to see the controls and the images already uploaded for this whisky. There you also have the possibility to add a new image. Choose the image you want to upload from your files (or take a picture if you are using a smartphone) and select the area with the bottle in it. Then click on the upload button (the arrow pointing upwards). That´s it. The picture will be visible to all other users as soon as it was approved by us. Take a look at the Hanyu Joker to see how this looks. We allow for at max three images per whisky. For the time being the images are only displayed on the whisky pages. As soon as we reach a decent number of uploaded images we also plan to display them in other places like the search results of the database or your collection´s overview. Let us know what you think of this new feature in the comments below. Also, if you encounter any bugs or troubles do not hesitate to contact us directly. This topic contains 5 replies, has 3 voices, and was last updated by Whiskystats 1 year, 5 months ago. I’ll add a few photos of some of my collection, please feel free to delete any that aren’t useful. Very interresting to upload Pictures to our Collections. I will certainly help you to improve your exelent site with my tribute.A suggestion from me is that you also present a small image with the bottle on the summery page of my collection .If so I could easily find out wich one are not completed with images . 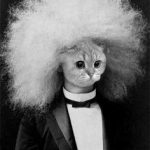 Have a question of general interrest i believe. Sometimes when I try to upload an image ,the last step to show the image at the page of the pricetrend for this item , the image does not show ,but I get a grey-white checkers pattern . It happens maybe one of ten but vary randomly . What may I have done wrong? mhm, so you upload the image and then select the area? And then, before you can press the upload button, the image disappears and a white-checkers pattern is displayed? Does this happen for specific images or does it work when you try it again?